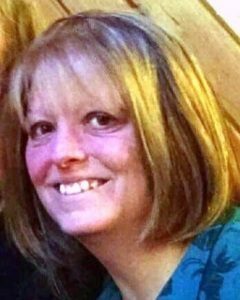 Allison Coulter, age 50, of Hector, Minnesota, passed away Friday, April 12, 2019, at the St. Cloud Hospital. Funeral Service will be held Saturday, April 20, 2019, at 11:00 A.M. at the Church of God in Eden Valley, Minnesota. Interment will be held in the Old Eden Lake Cemetery. Visitation will be held Friday, April 19, 2019, from 4:00 – 7:00 P.M. at the Hughes-Hantge Funeral Chapel in Hector, with a Prayer Service at 7:00 P.M.
Visitation will continue Saturday at 10:00 A.M. at the Church of God in Eden Valley, for one hour prior to the service. Allison Ann Coulter was born June 25, 1968, in Olivia, Minnesota, the daughter of Jerry and Crystal (Jacobson) Coulter. She was baptized at the First Evangelical Lutheran Church in Hector, Minnesota. Allison grew up in Hector, where she received her education. She graduated with the Class of 1987 from the Hector High School. Allison completed her training as a Certified Nursing Assistant. She worked as a CNA at the Buffalo Lake Healthcare Center for 11 years. In 1998 she became employed at Gleseners in Bird Island, and has been a loyal employee for the past 21 years. Allison was a kind and giving person. She loved her cats, Kate and Allie, and she loved horses. Her family, especially her nieces and nephews, filled her heart with love and brought her great joy. On Friday morning, April 12, 2019, Allison passed away at the St. Cloud Hospital, having reached the age of 50 years, 9 months, 17 days. Blessed be her memory. Aunts, Uncles, other relatives, and friends. Allison was preceded in death by her Father, Jerry Coulter, Stepfather, Doug Osterberg, Aunts, Uncles, and by her Cousin Ronda Coulter. She was such an inspiration through her fight. R.I.P Allison what a beautiful soul. You will be missed more than you know. She was a great person always had a smile on her face. RIP you will be missed. So many memories i have with you and will cherish them. I miss Allison already. She was my cousin and my friend. I have many fond memories of our childhood as we played during holidays and family get-togethers. I felt such love when I visited with Allison at the hospital these past few weeks and I will keep that love in my heart until we meet again. She is free from the pain of this world now and I am thankful she can rest in peace. I pray that this loss will bring each of us closer to Jesus as we grieve.